6000 Fabricated Series with a heavy duty polyurethane wheel and cast iron centre are the strongest casters we offer online. With heavy duty polyurethane wheels, precision bearings and welded frames these casters offer extreme strength, durability and load bearing capabilities. 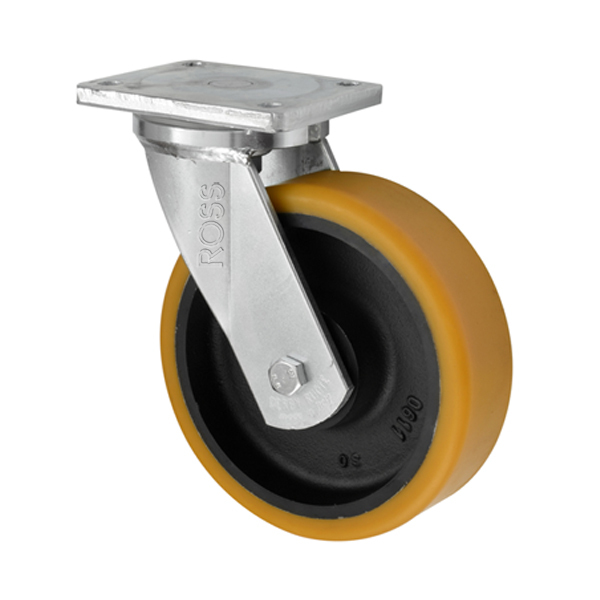 These casters are available as either as a swivel, fixed or braked casters.